Zan Kru presents Hip bag type pouch with reflective pattern and adjustable strap. Made of waterproof polyester. The main compartment with a key lock and one side pocket zippered. Stylish comfortable and practical. Designed in zero waste strategy. In five colours with matching no.1 every Christmas seller = warm socks. 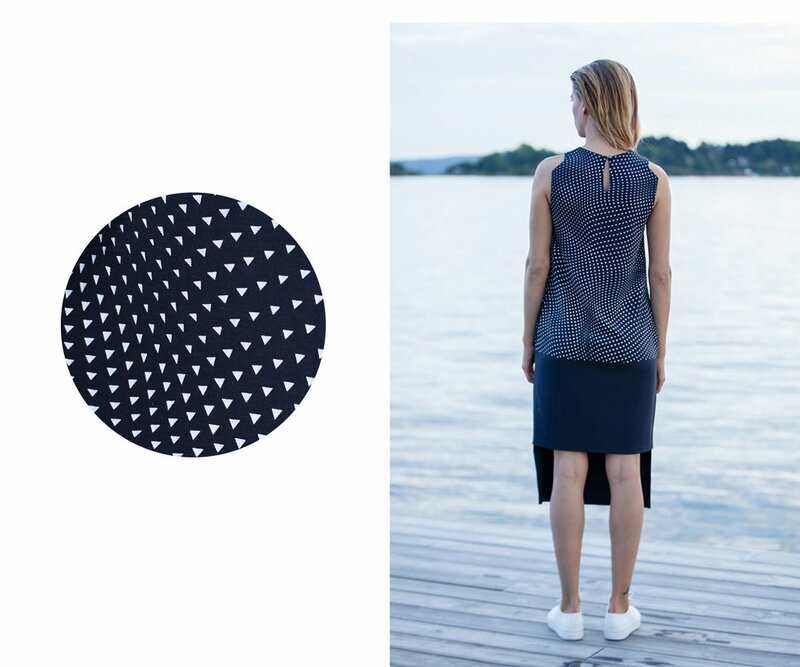 Also we´ve got here A shape oversized dresses with hand printed floatable pattern and pockets.